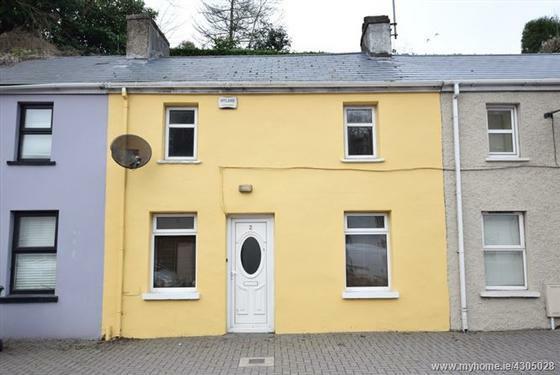 ERA Downey McCarthy are delighted to present this recently renovated 2 bed townhouse situated in the heart of Glanmire village. Accommodation consists of an Open Plan Kitchen/Dining/Living Room on the Ground Floor with a large Utility Room to the rear. 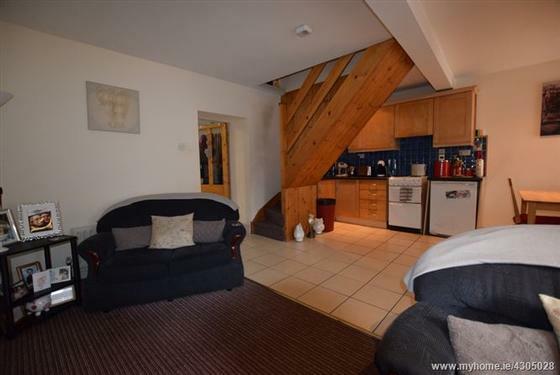 Upstairs there are 2 bedrooms, one double room and one single with a Shower Room off the landing. Out the back there is a small yard which is fully walled in. 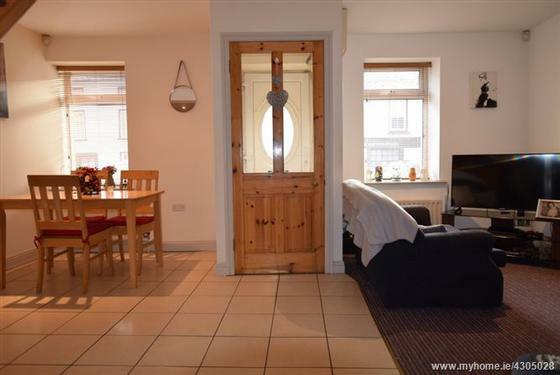 The property is currently rented for €895 per month giving an annual income of €10,740. 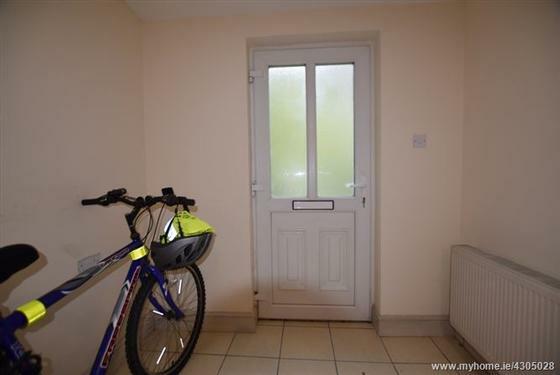 Hallway, Kitchen/Dining/ Living Room, Utility Room, two bedrooms and a bathroom. Travel past Silver Springs Moran Hotel and head towards the Dunkettle Glanmire Roundabout, at the roundabout take the first exit towards Glanmire and proceed along this road. Pass the entrance to Vienna Woods Hotel and continue into the village. The property will be located on the your left hand side just before the first set of traffic lights in the village with the ERA sign displayed. PVC Front door with glass panelling allows access to a reception hallway. Hallway has tiled flooring with alarm point control, ESB supply board, pay as you go meter and one centre light fitting. A timber panelled door leads to kitchen/dining room. 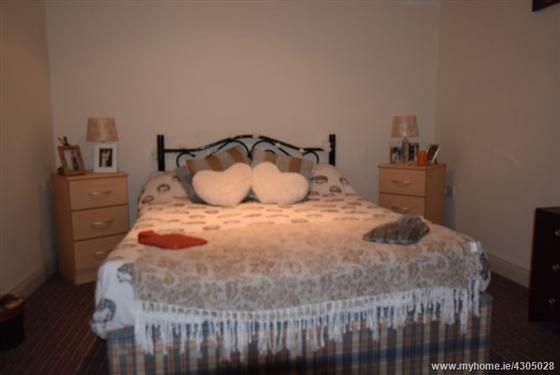 This is a good spacious room, to the left hand side we have the living area. 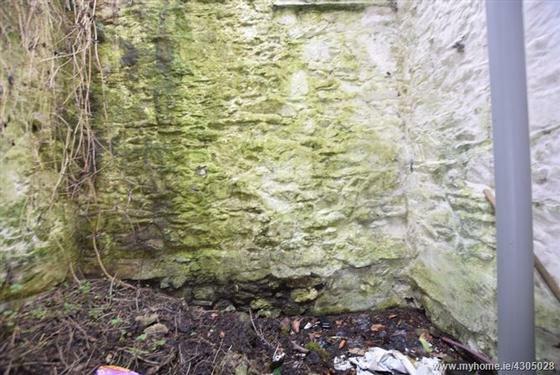 This area has one window to the front, one radiator and carpet flooring. 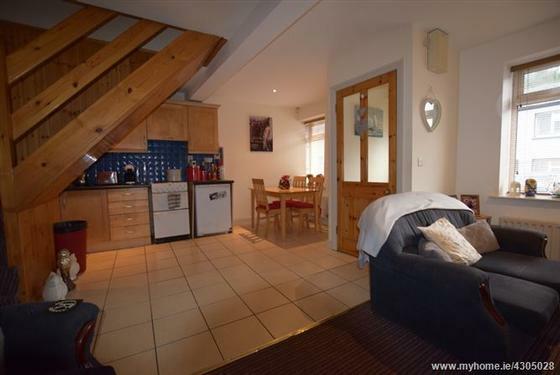 To the right hand side we have the kitchen with fully fitted units in the corner. 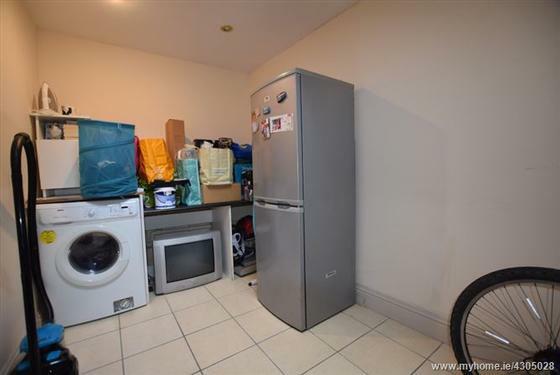 The gas boiler is housed here, there is a fitted sink, electric cooker and a fridge under the counter. 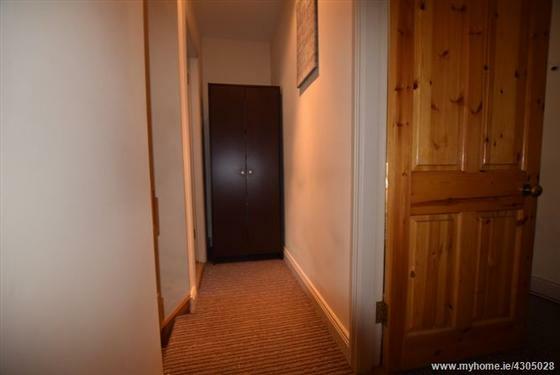 There are units at eye and floor level, fully tiled floor, one radiator, two power points, 2 windows to the front of the property both fitted with venetian blinds. Property is finished with recess lighting. A glass panelled door leads out to the utility room. 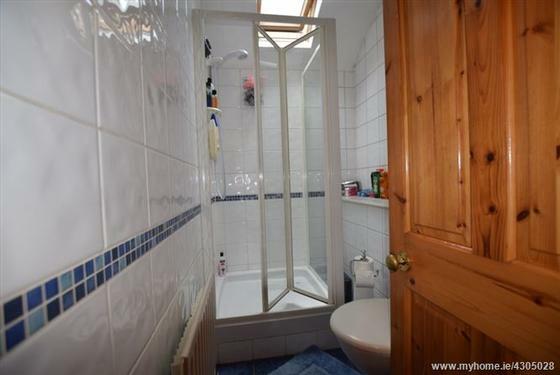 This is a very spacious utility room. There is plumbing for a washing machine, space for a fridge freezer, work top space, recess lighting, one radiator, four power points, tiled flooring, velux window in the ceiling and a glass panelled door leads out to the rear. Stairs and Landing is fully carpeted. On the first floor landing there is access to the attic. There is recess lighting and one smoke detector. Solid doors leads to all rooms. 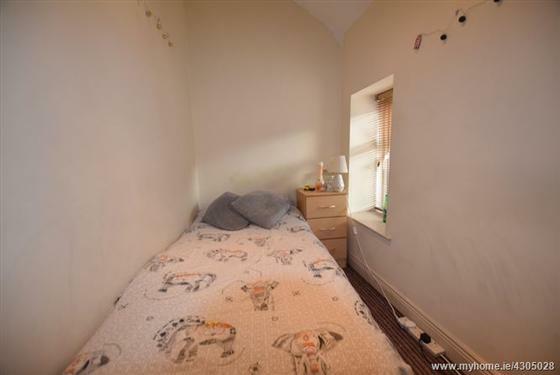 This is a spacious double bedroom. There is recess lighting in the ceiling, one radiator, one window to the front with venetian blind, wardrobes and carpet flooring. This is a single bedroom with bedside lockers. There is one window to the front of the proeprty with venetian blinds, one radiator, two power points, carpet flooring and recess lighting. This bathroom features a fitted shower cubicle with a folding/sliding shower door. There is Mira Sport electric shower, fully tiled walls and floor, velux window, one hand wash basin, one w.c, one radiator and recess lighting.